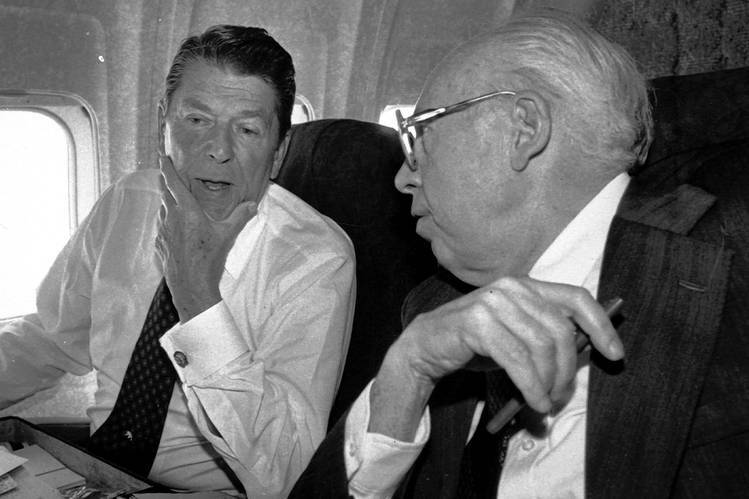 Ronald Reagan and his head of CIA, William Casey. “The crisis that we are facing today [requires] our best effort, and our willingness to believe in ourselves and to believe in our capacity to perform great deeds, to believe that together with God’s help we can and will resolve the problems which now confront us. After all, why shouldn’t we believe that? We are Americans.” Ronald Reagan: inaugural speech 1981. Ever since Hillary Clinton’s neo-cons lost the Presidency to Donald Trump’s libertarians in 2016, I have been watching with a certain amount of amusement the outrage that has been built up in patriotic American breasts over the fact that Russia might have interfered in the Trump election. ‘Might have’ is the appropriate phrase. As yet no evidence has been forthcoming sufficient to convince any impartial observer that if Russia had attempted to play a role at all, its consequences were on anything other than a most minor and uninfluential scale. On the other hand, no one can deny that the USA routinely and effectively intervenes in overseas elections, working hard to engineer regime change in countries of interest and of which the governments are deemed uncooperative. I thought that this would be as good a time as any, when its continued survival is being called into question, to have a look at an institution that Congress established to perform this particular function – the National Endowment for Democracy (NED.) This is the NED’s public face. 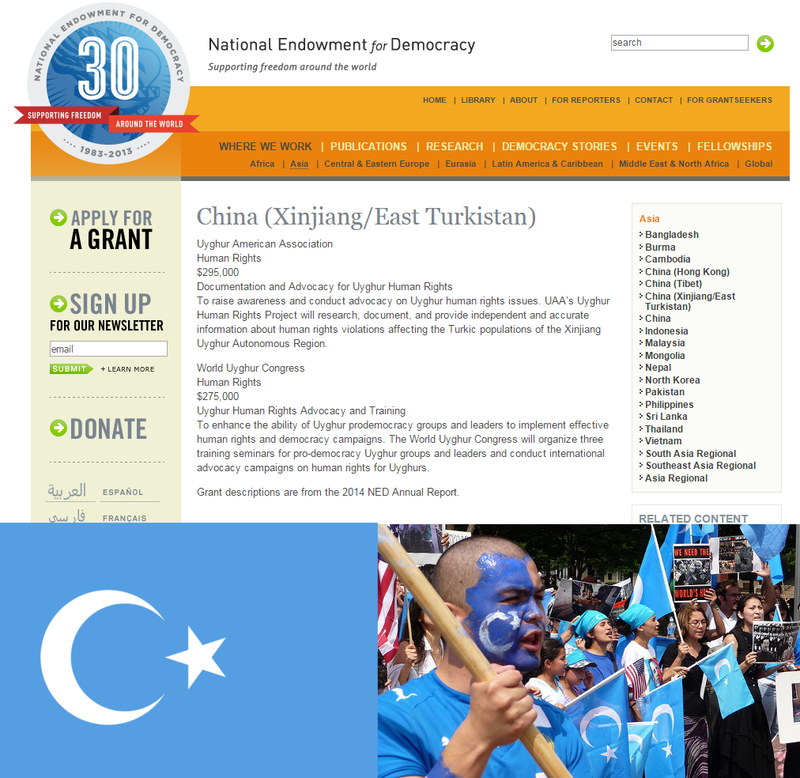 https://www.ned.org/ A more detailed view, acceptable to itself, can be found on the Wiki https://en.wikipedia.org/wiki/National_Endowment_for_Democracy together with, at the bottom of the piece, some criticism of its activities. 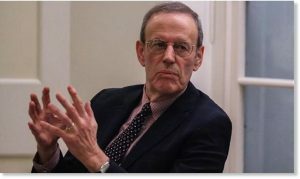 Carl Gershman, President of the NED, valiant for democracy: eager for civil wars. NED is funded by the US Congress to promote and assist the implementation of democracy throughout the world – except for within the USA. (Why gild the lily?!) More about the NED’s modus operandi was revealed in the recent Congressional hearing into its activities. https://www.mintpressnews.com/the-national-endowment-for-democracy-regime-change-playbook/245565/ The hearing was prompted by the recent change of power in Washington as America’s libertarian, isolationist, Republican, nationalist faction challenges the long-held dominance of its liberal, neo-con, Democrat globalist rivals. As reported in this recent article on the NED’s activities in ‘The American Conservative’ https://www.theamericanconservative.com/articles/the-national-endowment-for-political-meddling-democracy-ned/ the struggle has been given prominence in President Trump’s mind, by a serious misjudgement on the part of the long-term NED President, Carl Gershman. By actively campaigning on behalf of Hillary Clinton and (seemingly unabashed by such extremes of hypocrisy) leading the charge with his accusations of Russian electoral meddling, Gershman made the mistake of publicly aligning his agency with the losing side during the Trump election campaign. Given Trump’s pre-existing views on the undesirability of America’s becoming involved in expensive and unproductive foreign entanglements, NED’s budgetary allocations were always going to come under scrutiny. Now the NED is in the forefront of the battle between the two Washington factions. President Trump declared in his inaugural address, “We do not seek to impose our way of life on anyone.” There’s one thing he could do, above all others, that would herald the seriousness of this pledge: kill the National Endowment for Democracy (NED). This federally funded institution, established in 1983, has been called a kind of “neocon slush fund,” sloshing tens of millions of dollars annually into the coffers of various non-government organizations (NGOs), so they can do what Mr. Trump says the United States now won’t seek to do — namely, spread our way of life into nations deemed insufficiently like us. Killing the NED would have another big benefit to America and the world: It would end the meddlesome activities of the endowment’s long-time leader, Carl Gershman, who as president of the organization since its founding, has acted as a kind of grand-scale global busybody, dispensing some $100 million a year in behalf of efforts to undermine governments around the world. Mr. Gershman and his organization played an instrumental role in the February 2014 Ukrainian coup that ousted the elected government of Viktor Yanukovych and sent him packing to Moscow just ahead of a gang of street fighters, who surely would have killed him had he stuck around. In the months before the coup, as Mr. Gershman distributed lavish funds to anti-Yanukovych forces, he wrote a piece in The Washington Post hailing Ukraine as “the biggest prize” in his on-going democracy project. However, the outcome of this battle over the NED’s future existence and function is by no means certain. Whereas the neo-con liberals remain committed to their globalist ambition to rule over a uni-polar world, the Trump party, which would put America first and not bother about gaining suzerainty over the rest, is seriously conflicted in several respects. The first is in the Middle East, where Trump seems under an obligation to pursue Israeli ambitions to dominate the region, no matter what the cost in loss of American soft-power and treasure. Furthermore, the libertarian vision of international relations is one based purely on advantageous bilateral trading arrangements without the profits being siphoned out of private pockets and into government expenditure on wars and costly diplomacy. Herein is a second confliction. As we are now witnessing a massive NED operation in China’s western province of Xinjiang (or ‘East Turkestan’ as NED would have it.) The NED’s destabilising activities can be used as a stick with which to encourage a potential trading partner to a more favourable negotiating position. A third and most important confliction with which the Republicans have to grapple is that, after so many years of neo-con expansion, the military industrial security complex has developed such dominance over the US economy that its continuous clamour for unproductive nutrition cannot be ignored. Nearly every Congressman’s electorate has within it a ‘vital’ component of the system that needs feeding with defence contracts. With 1.4 million Americans on active service, another 0.8 million in the reserve and 1.6 million working in defence industries, the complex employs and supports millions of Americans and the sales it generates are a key contributor to the US balance of payments. Built into every US Administration’s considerations is the need to keep the beast fed and contented. Consequently, there is a strong incentive to keep overseas crises and threats on the boil – both to maintain domestic tax-payer acceptance of their state’s total disproportionate expenditure on defence related matters and in giving foreign governments incentives to purchase (and turnover their stock of) American weaponry. This is a task for which NED is well suited and such pragmatic arguments for its survival tend to be listened to even among the isolationist ideologues in a Republican dominated House. This entry was posted in Global Governance, West v East and tagged Carl Gershman, National Endowment for Democracy, NED, Republicans wish to close NED, US interferes in other electionss. I couldn’t agree more…methinks that both Putin and Lavrov, and anyone else in Russia for that matter that has half a brain, will realize that the very best thing they can do to counter the US’s hegemonic global behaviour is simply… well…absolutely nothing at all… left to their own devices Murica is so busy squandering diplomatic capital at such an astonishing rate that the best strategy is to sit back with beers and popcorn and simply watch the circus unfold. Also, why on earth would Russia have any interest whatsoever in trying to influence US elections from the point of view of trying to compete with the huge lobby that exists in the form of the MIC and AIPAC, either of which would dwarf by a hundredfold anything Moscow might have up its sleeve. These organizations need war and mayhem, and as Trump so eloquently put it…”jobs, jobs, jobs”! Yet another example of the rampant squandering of US diplomatic capital…Wolf Blitzer is an absolutely typical symptom of the wreck that the US [us] has become and the psychopathic nature of its foreign policy…in this clip, he is very worried that not supporting the killing of kids in Yemen might hurt the profits of the MIE…absolutely sickening!! As appalling as this is, it is even more abhorrent when you realise that this creature is not even aware of the implications of what he has just said.